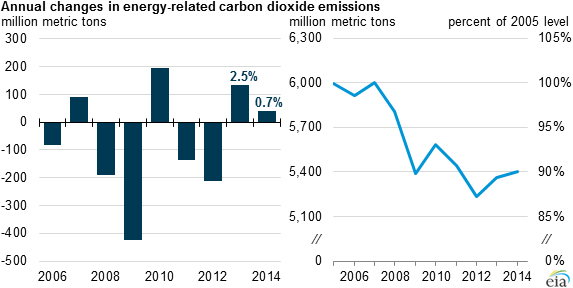 The US Economy Grew in 2014 — Carbon Pollution, Not So Much. VICE News explores the intricate relationship—and lack thereof—between economies and carbon emissions. Help save the arctic and its beautiful inhabitants by donating here—every dollar counts, so please help make a difference and donate to a worthy cause (http://wwf.worldwildlife.org/goto/savethenarwhal)! This entry was posted in Climate, Endangered, Narwhals, wwf and tagged climate, Climate change, Endangered, Global Warming, Marine biology, Narwhals, Ocean, Protection, Rehabilitation, WWF. Bookmark the permalink.